A Liebster Award…For Me? | Committed. I’ve been on vacation (still am), but really needed to get this post together! Patricia Davis, aka TheDoGooderMama, nominated this blog for a Liebster Award, which was such a nice surprise, especially when I’ve been neglecting this project for a couple of weeks. Though I’ve been writing on this blog for a while, I’m just starting to “get” The Big Idea–it’s about connecting with other readers and writers who have similar (or different) ideas. I’m so glad I’m finding more and more parents out there who have interesting projects, perspectives, and insight. – Just gives a warm fuzzy feeling to know that someone is reading this! “Lori Leigh Wilson bestowed this honor on me and it just tickled me pink. How nice to be picked out of the sea of bloggers as one worthy of a Liebster Award!!! 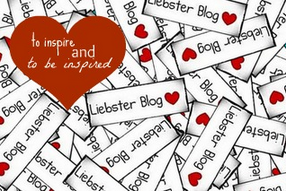 Liebster Awards go to “up and coming” bloggers with less than 200 followers. The origins of this award are unclear and are simply given by fellow award nominees to blogs that inspire them and that they enjoy reading. “Liebster” means sweetest, kindest, nicest, dearest, beloved, lovely, kind, pleasant, valued, cute, endearing, and welcome in German. 1. I am a massive klutz. I have a grand sense of adventure and a tendency to get distracted easily. I am not allowed near powered cutting tools. 2. I have a potty mouth, but luckily can keep it under control around the kiddo. She repeats EVERYTHING I say! 3. I was always the tallest girl in my class, a fact I was proud of. 4. I have degrees in mechanical engineering and graphic design. You’d think I’d use both sides of the brain, but often, it feels like I don’t use my brain at all! 5. I used to play flute. 7. I have an insurmountable sweet tooth. Chocolate can make me weak in the knees. 8. I’ve lived in 4 different states and in 13 different homes. All of the moving was done after high school. 10. I love to play Boggle, or any word-related actual board game. The digital versions don’t do it for me as much as playing against living, breathing, cussing people. 11. I’m a terrible dancer, but I do it all the time anyway. 2. If you could be any animal, what would you be? Why? A bird. I’ve always wanted to fly. It would also be awesome to “accidentally” poop on someone’s head. 3. What do you say when your (or someone else’s) kid asks you why the sky is blue? If they’re older–the molecules in the atmosphere scatter the light in the sun’s UV rays. If they’re younger–the sky was painted by millions of butterflies. 7. Favorite Reality TV Show? My official answer is Top Chef, but off the record, Jerseylicious. It’s truly crap, but I can’t bring myself to delete it from our DVR. 8. What was your very first job? I’d count working at a coffee shop/espresso bar as my first real job. This was pre-Starbucks, so it was kind of cool to know how to make fancy espresso drinks! 9. What book is on your nightstand right now? Blog, Inc. I’m not a big book reader, but I thought I’d try and learn more about blogging. 11. At what age is your earliest memory? It’s not the earliest, but it’s the clearest early memory. At age 3, I thought that college was a place you visited, like a grocery store or a library. I asked my mom if I could take her to college with me and if we could ride a horse together to get there. I’d like to give a big sincere thanks to Patricia for the nomination for this award! Please check out the other bloggers’ links above and pay it forward. Good luck with the award. It would be a good reward to an awesome mom. What an awesome introduction to your blog and to you! I really enjoyed the read, and you’ll have to update us all on how Blog Inc. is. I’ve been meaning to read it FOREVER now! Pingback: Another Liebster?!? Color Me Flattered | Committed.